The ASEAN Economic Community (AEC) Blueprint defines free movement of goods as one of its goals, emphasising the important role of trade facilitation. Trade within ASEAN is lagging behind expectations as only around 30% of Member State trade takes place within ASEAN. Agriculture is considered as a core sector in ASEAN with Cambodia, Thailand and Vietnam trade heavily in agricultural goods within ASEAN. 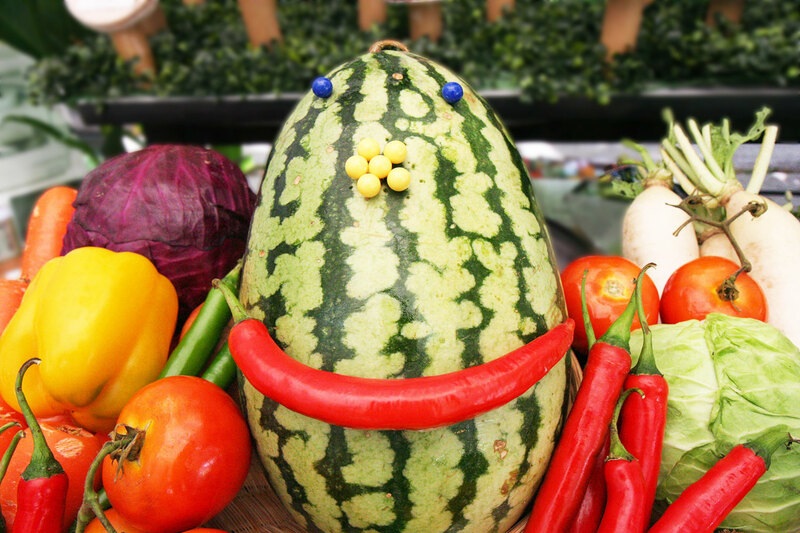 However, there are gaps in the regulations on food safety and phytosanitary measures among ASEAN countries which hinder and slow down the movement of goods across borders, putting fresh agricultural goods at risk of spoiling and increase trade costs. Common standards and coordinated processes can speed up trade flows and guarantee consistent food quality. Pilot countries align the regulatory framework for trade export and import for selected agricultural goods in accordance to ASEAN guidelines. Pilot countries align processes for trade export and import for selected agricultural goods in accordance to ASEAN guidelines. Pilot countries consider recommendations for simplification and streamlining of sanitary and phytosanitary and food safety related procedures for border crossing. FTAG is part of the Trade for Development Fund established by the Federal Ministry for Economic Cooperation and Development (BMZ). 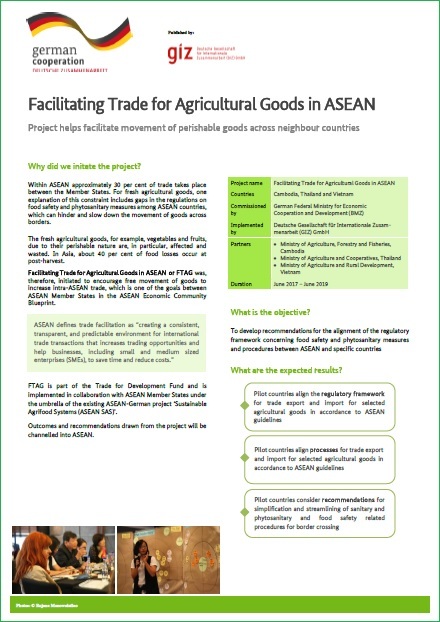 The project is implemented by the Deutsche Gesellschaft für Internationale Zusammenarbeit (GIZ) GmbH in collaboration with ASEAN Member States under the umbrella of the existing ASEAN-German project ‘Sustainable Agrifood Systems (ASEAN SAS)’.